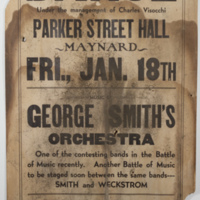 Murphy & Snyder Press, Maynard, Mass. 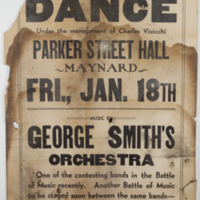 One of the contesting bands in the Battle of Music recently. 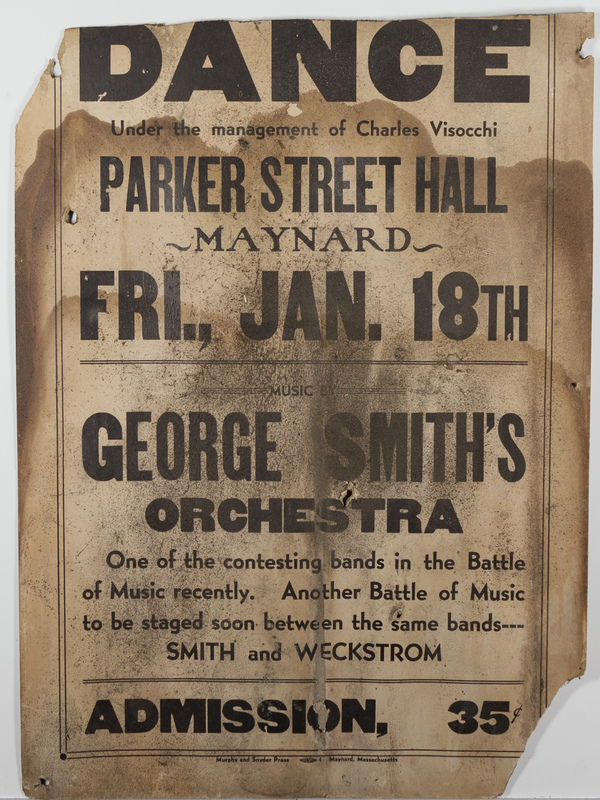 Another Battle of Music to be staged soon between the same bands -- Smith and Weckstrom. 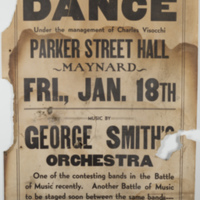 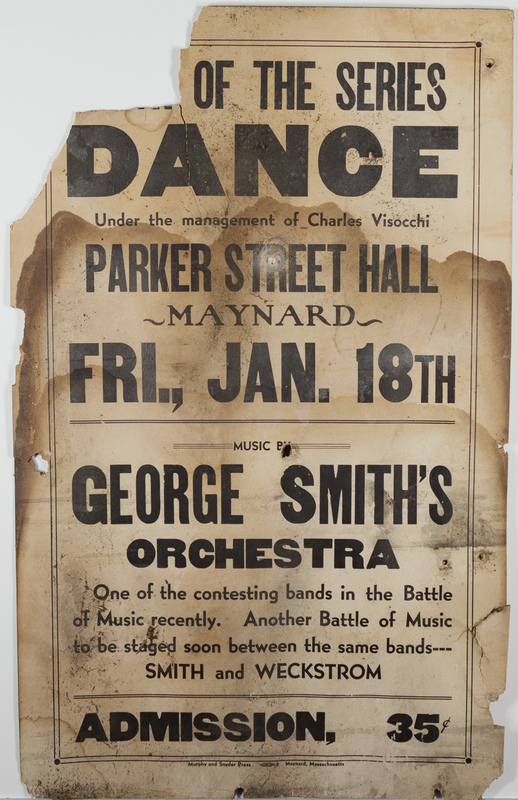 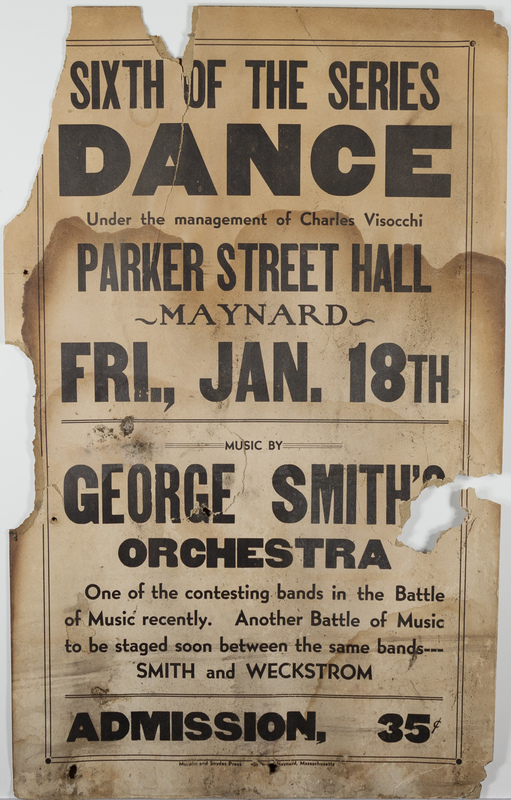 Murphy & Snyder Press, Maynard, Mass., “Dance at Parker Street Hall Poster,” Maynard Historical Society Archives, accessed April 23, 2019, http://collection.maynardhistory.org/items/show/5248.